Experts in traumatic brain injury and chronic traumatic encephalopathy gathered in Dallas, Texas, on May 6-7 for the Brain SAFTIE (Scanning to Assess For Traumatic Injury and Encephalopathy) Symposium. The participating physicians and scientists gave presentations on the current state of research in the field, identified gaps in existing knowledge, and discussed ways to address these gaps moving forward. The symposium was organized by SNMMI’s Clinical Trials Network and supported by Nucleus Bio. 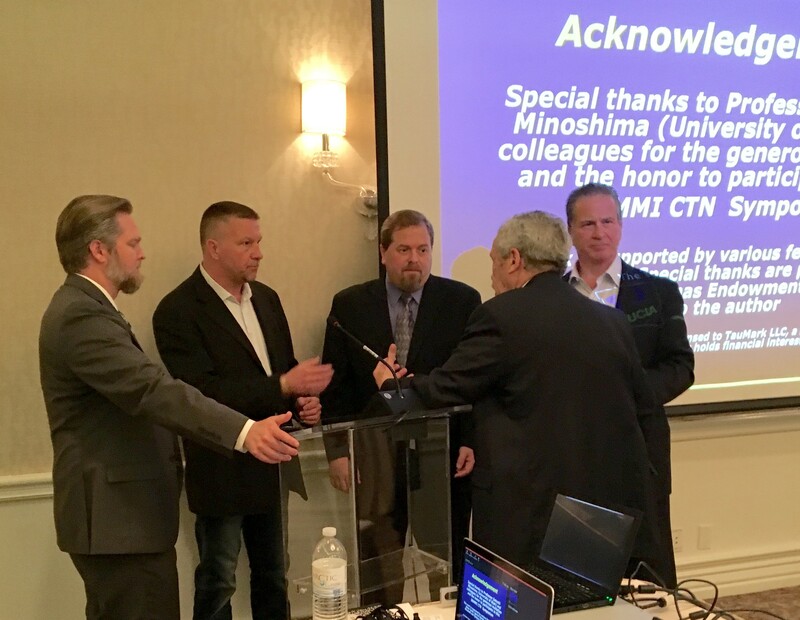 The symposium was chaired by Michael Graham, MD, PhD, FSNMMI, co-chair of SNMMI’s Clinical Trials Network, and currently at the University of Iowa. Christopher Vaughan, PsyD, Montgomery County Outpatient Center, Rockville, Md.